Help and support when you need it! 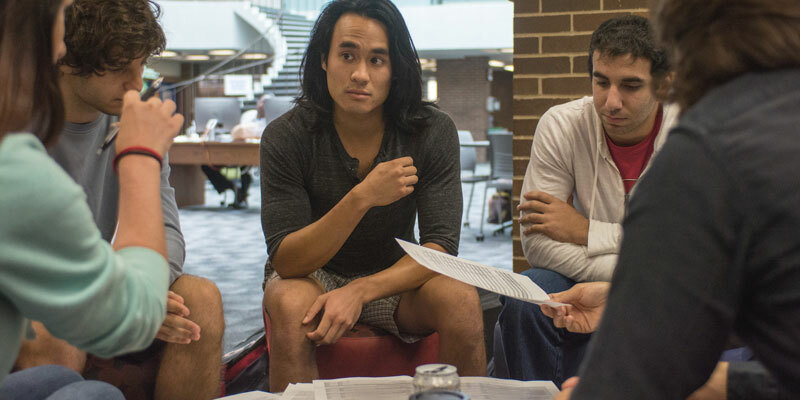 The Academic Support Center offers free drop-in tutoring for many subjects including accounting, biology, chemistry, history, economics, psychology, and more. Appointments and walk-ins welcome. Locations on the East Peoria and Peoria Campuses. The ICC Library has different avenues for you to find the book or ebook, film, magazine, or journal article you need. Stop by any one of the locations below or visit our website. The Studio is a comprehensive writing and literacy center providing consultation services for reading, writing, and critical thinking skills. Locations on the East Peoria and Peoria Campuses with an additionally online schedule system. Supplemental Instruction provides regularly scheduled, out-of-class, peer-facilitated review sessions. We target traditionally difficult courses. It’s voluntary and free of charge. Location on the East Peoria Campus. The Student Success Center will connect you with a Success Coach who can help you with goal setting, time management, study strategies, and academic planning.